Toyota has revealed that the 2016 version of its Toyota Tacoma�adventure truck will come pre-fitted with a windshield mount for a GoPro camera so customers can record their off-road antics. 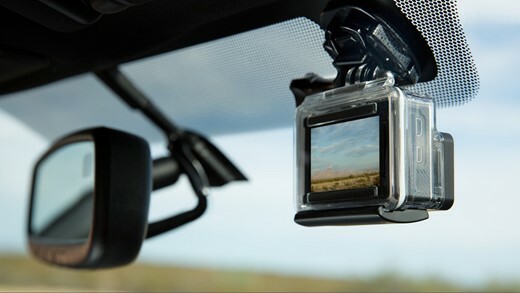 Drivers will have to supply their own GoPro cameras as those aren’t included, but anyone�interested in filming their muddy, dusty and rocky scrambles will be able to fit a camera to point forwards or backwards and�capture either the ‘flight’ or the lucky passengers’ reactions. The move comes with news that GoPro is offering videos on license deals to marketers�via its own content agency. The service, called�GoPro Licensing, will provide videos made by both amateur and professional users to interested brands from, according to marketing news source Adweek, $1000 a pop. The service will launch with 600 videos suited to action-related companies, but Adweek says GoPro hopes to grow its content base significantly. Deals will be made�with GoPro videographers for new and existing movies that advertisers will want to align their products and services with. The company has a sign-up page for those wanting to make use of the videos it already has on file.